Dr. Estes urges a liberation for women. "Archetypal wild woman whose qualities have today been dangerously tamed by a society that preaches the virtue of being "nice." Like the wolf, pushed to the brink of extinction, the innate powers of womanhood have been driven deep within, but they can yet be summoned as tools in a fight for survival." "Wolves and women are relational by nature, inquiring, possessed of great endurance and strength," she writes. "They are deeply intuitive, intensely concerned with their young, their mate and their pack." She also writes: "Yet both have been hounded, harassed and falsely imputed to be devouring and devious, overly aggressive, of less value than those who are their detractors." Responses to "A Message for All Women: Run Free and Wild Like the Wolf"
This video was extremely well done. 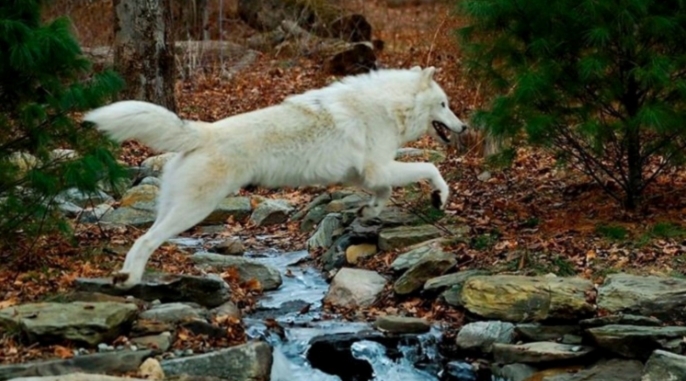 I had a wolf of my own before but people were afraid of him and killed him. People don't understand the power the wolf gives you. He is like a spirit always watching over you. They are the most docile creatures and affectionate and loyal. Respect them and they will respect you in return.